As an admin of a Salesforce org on the EU9 instance, we would like to notify you of an upcoming instance refresh maintenance. Following this maintenance, your instance will move to another data center within the European Economic Area. Salesforce will inform you of your new instance name at least six weeks prior to the maintenance. The endpoint you currently use to retrieve the data via the webservice, can refer to the instance EU9. If so, you need to change the endpoint since this name will change. It is possible to change "EU9" to the new instance name after the refresh has been completed. However, you should use the custom domain that applies to your org. See this article on setting up a domain if this is not yet set up for your org. We have identified you as an admin of a Salesforce org on the EU9 instance, and would like to notify you of an upcoming instance refresh. 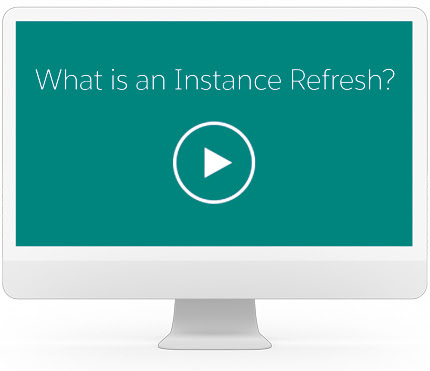 What is an Instance Refresh? In order to prepare for your organization’s continued growth, we occasionally need to perform an activity called an instance refresh, where we upgrade the infrastructure supporting your instance. 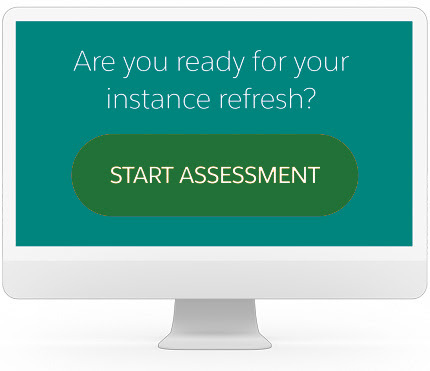 For more details, watch the recording of the webinar, How to Prepare for Your Instance Refresh. Following this maintenance, the name of your instance will change, and it will be served from new infrastructure within your region. We will inform you of your new instance name at least six weeks prior to the maintenance. NOTE: Your new instance will be on the same release and system maintenance schedule as your current instance. When is the instance refresh happening? The maintenance will take no longer than four hours, during which your org will be available in read-only mode. You should begin preparing for the instance refresh now. Start with completing the one-minute readiness assessment and visiting the Plan and Prepare for Org Maintenance and Releases site, as these tools will inform you about our infrastructure best practices. If you decide not to follow the best practices, your end users may not be able to access Salesforce after the migration is complete. • Subscribe to Trust Notifications: Stay informed with activities related your instance. To learn more about what Trust Notifications are and how to subscribe, review the Trust Notification User Guide.